So he and his brother Andrew — a co-founder of TigerText who sits on the company’s board and is a certified orthopedic surgeon — have set out to revamp medical communications. 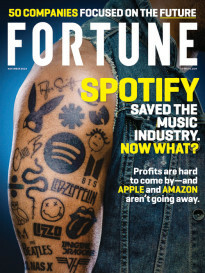 “People are already gravitating toward SMS,” Brad Brooks tells Fortune. “But it’s not really a viable solution” when it comes to healthcare, he says, given the industry’s need for secure, encrypted channels, authentication processes, and enterprise-level controls over networks and users. So, that’s just what TigerText has developed: a tool that “ring fences,” as Brooks says, the text messaging experience. Plus, it adds a useful application programming interface that software developers can build upon as well as a self-deleting messages feature. TigerText plans to announce that it has closed a Series C round of funding worth $50 million. The company last raised $21 million in January 2014, bringing its total funding raise to date to more than $80 million. The latest investment was led by Norwest Venture Partners and included participation from Invus Group and Accolade Partners as well as return backers Shasta Ventures, OrbiMed, and Reed Elsevier (RDLSF). Robert Mittendorff, the Norwest partner and certified physician who led his firm’s funding round, says he ran a three-year search on 15 companies before deciding to back TigerText. “There aren’t many of these companies founded by individuals that have built or scaled companies in the technology and media space and are also a physician,” he explains, referencing Brad Brooks’ former post as president of DIC Entertainment, the late children’s-branded media company that had spun out of Disney (DIS), and his brother’s medical background. In 2012, Brad Brooks also co-founded Whisper, an anonymous messaging startup that became embroiled in a data privacy controversy after the British-based news outlet the Guardian published an investigation concerning its namesake app last year. The outlet’s initial reports that the company secretly collected certain user data, despite claiming otherwise, had to be significantly walked back in a later correction to the story. 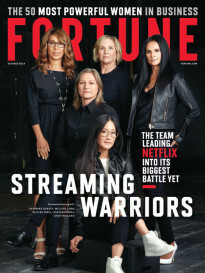 “We think of TigerText as the Slack of healthcare,” Mittendorff said, referencing the multi-billion dollar “unicorn” chat app startup that has taken less strictly regulated industries such as media (Fortune’s office included) by storm. Meanwhile, Symphony, the bank-backed communications service tailor-made for the financial industry, also has designs on heavily regulated, compliance-driven industries such as health care, as well as the consumer market. The firm last month raised $100 million from Google (GOOG) and other backers. Other companies that have designed chat tools with healthcare specifically in mind include Imprivata (IMPR) with its Cortext messaging product and Voalte, a private communications software firm based in Florida. TigerText has about 150 employees, roughly half of whom are engineers, and has doubled or more than doubled its revenue each year for the past three years, Brooks says. It more than 250,000 paying customers across more than 5,000 facilities, he says, and four out of the top five largest for-profit health systems in the U.S., including United Health Services (UHS) use the tool. Most of the new funding, he says, will be reinvested in “TigerConnect,” the company’s Twilio-like customizable API product that allows developers to integrate the company’s secure messaging across a host of services, and thereby enabling health providers to communicate more flexibly.